Created in 2006 by the French pianist Isabelle Oehmichen, the Franco-Hungarian Trio Primavera mainly performs in France and Hungary. Through classical, romantic or more contemporary programs, he also introduces Hungarian composers. Andrea Schuster, Ladislav Szathmary and Isabelle Oehmichen share their passion for all the colors of the sound palette and a very expressive game. French pianist Isabelle Oehmichen is extremely active as soloist, in recitals, with an orchestra, in chamber music, performing in France and in many countries abroad (Great Britain, U.S.A., Canada, Poland, Romania, Czech Republic, Finland, Germany, Hungary,...). Winner of the First Grand Prize in the International Milosz Magin Competition in 1989 and laureate of the Cziffra Foundation in 1993, she has recorded twelve disks, piano solo and with orchestra. Critics have praised her excellent musicality and her stage presence. In addition to her performing activity, Isabelle Oehmichen is also a pedagogue. She holds master classes and, in the programme ‘Musical Patrimony’, she gave a lecture at the Sorbonne on romantic interpretation at the piano. 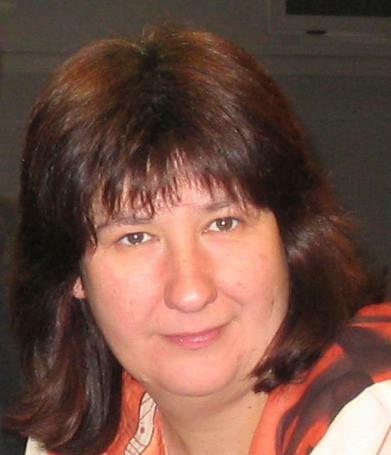 A graduate of the Franz Liszt Academy in Budapest in violin and pedagogy in 1988, the Hungarian violinist Andrea Schuster is first violin solo in several orchestras in Hungary, including the ‘National Symphony Orchestra’ and the ‘Monarchy Orchestra’. A frequent guest as soloist or first violin solo (‘Konzertmeister’) in major Hungarian productions, she has performed in practically all the countries of Europe and also several times in the U.S.A., Japan, Canada, Korea, Brazil,... In particular, she has made a number of tours with the ‘Leo Weiner Orchestra of Szeged’ (Chamber Orchestra of Hungary) and the ‘Budapest Strauss Symphony Orchestra’. Her eclectic repertoire takes her from romantic music to contemporary creations. She is a very generous and passionate artist with an extremely lyrical style. Ladislav Szathmary, a Slovakian cellist of Hungarian origin, started in Bratislava in the class of Juraj Fazekas, where his musical studies were crowned with first prizes brilliantly won in several national competitions. He participated in Masters Classes with Miklos Perenyi in Hungary and Klaus Heitz in France. Arrived in France in 1991, he perfected himself in the class of Jean Huchot, Marc-Didier Thirault and Jean-Marie Gamard. After being a member of the Gustav Mahler Jugend Orchester, under the direction of Claudio Abbado, he performed in many countries as a soloist with prestigious orchestras such the Slovak National Radio Orchestra. He recorded for various record companies such Harmonia Mundi - Radio France, Pavane and Koka Media. 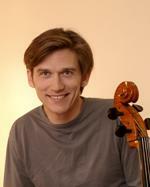 He is currently a member of the Kupka Trio, the Trio of Roses (clarinet, cello, piano) and the Trio Primavera. The public and the critics are always conquered by its very great lyricism, doubled by a deep subtlety. Before its current composition, the Trio Primavera has also hosted since its creation the violinist István Kosztándi as well as the cellists Ákos Pásztor and Timothée Marcel. 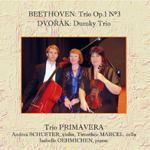 A first CD of the Trio Primavera, dedicated to Beethoven and Dvorak trios, was recorded in 2012 with Andrea Schuster, Isabelle Oehmichen and Timothée Marcel.